Call or sunnysidecottage@msn.com us for questions. of Sonoma County’s wine country. 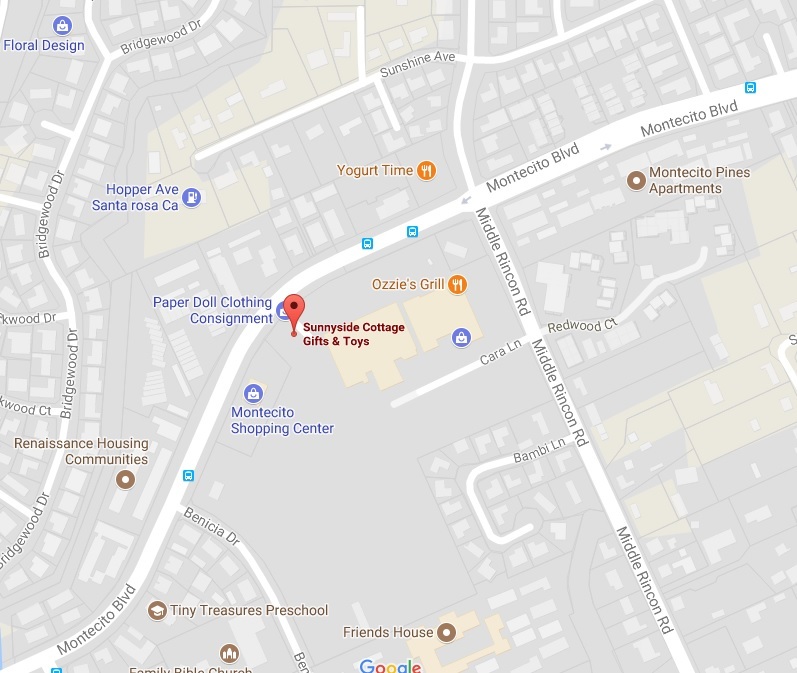 We are conveniently located at the corner of Montecito Blvd. and Middle Rincon Rd. in the Montecito Shopping Center.